I wanted to have the freedom to change the game to my liking from the inside. It is not easy to make options of all kind (graphic, audio, visual and other) so flexible that every player can change the look of the game to suit his personal taste and have the feeling of “being at home” in the game. We have come to a dead end several times during development. One tester likes one feature or game view, yet another wants exactly the opposite. A typical example might be the preference of many old school strategy gamers to play in 2D game view rather than a full 3D. We wanted to have the game in 3D but we also wanted to make the "old-school" gamers happy. What to do? We introduced a so called "top-view" which is easily accessible with one click (or keyboard shortcut) which basically turns the closer 3D world look to a plain 2D but fully featured view. Player can simply stay in the top view the whole game without any necessity to get back to 3D. All information, hints, etc. are available in both views. The list of preferences you can tweak is long. For example, when it comes to unexplored terrain, what’s your preference? Having invisible tiles covered by clouds or them just being dark, pitch black? We decided to implement both and let the player decide what he likes. This is something I appreciate a lot in other games and so whenever it seemed that there are two (or even more!) groups with a distinct personal preferences, we tried to make settings customizable. 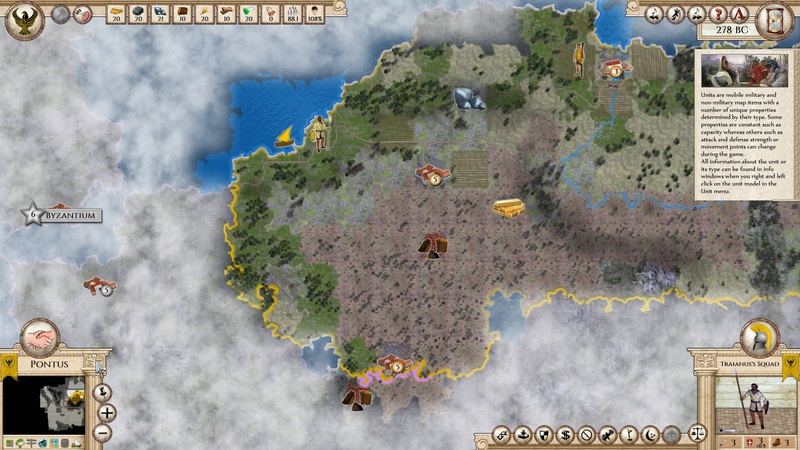 There is a great number of settings that can be customized from UI customization (like hiding various information panels, buttons and hints) through adjusting some eye candy effects (such as clouds, fog, trees, unit size, ambient animals or daylight). For instance, you can change the saturation and brightness of terrain or the level of trees blending with terrain. 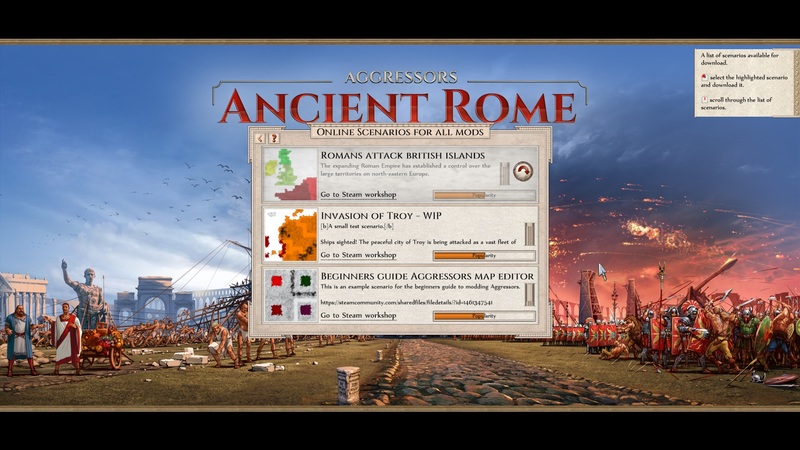 We also introduced so called terrain "overlays" which allow you to look at the map with different filters to highlight certain information. 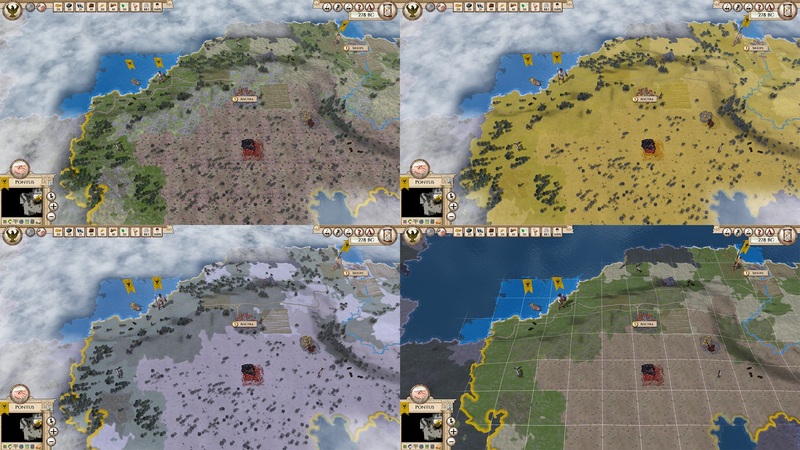 There is a supply area highlight, player colour overlay highlighting the territories in the colour of the owner, or the terrain colour overlay that highlights types of terrains. But even this level of customization was not enough. Even all these overlays can be further customized by setting the saturation of the coloured overlays from almost transparent to full opacity. You decide how much you want the terrain to blend in with the overlay. The default settings were chosen based on the feedback we received but still I am sure anyone will find the right configuration for them. I realized that once you adjust the look of the game to your liking, many people start changing the world by adding their own bits and pieces to the game or even creating their own worlds. But you don’t do all this just for yourself; you want to share it with the community. The community is what makes a game truly flourish. After all, we developed the game for you to play and we want to give our fellow players the chance to create and share their own content. Steam Workshop was choice number one here. Where else would modders and scenario creators meet in such numbers? That's why we implemented a full in-game integration of the Steam workshop where you can not only download Aggressors items like saves, scenarios, generated worlds or even mods but also publish and republish your own items without the need to edit it further on the Steam website. Just one click in game and you can publish whatever you prefer on the Workshop. It should be easy for anyone who wants to share his work with others.